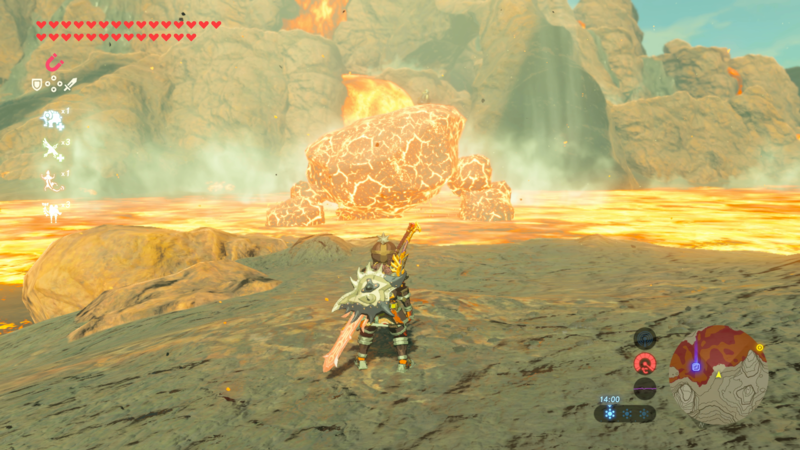 One of these quests, called EX Champion Daruk's Song, takes place in the lava mountains of Death Mountain. 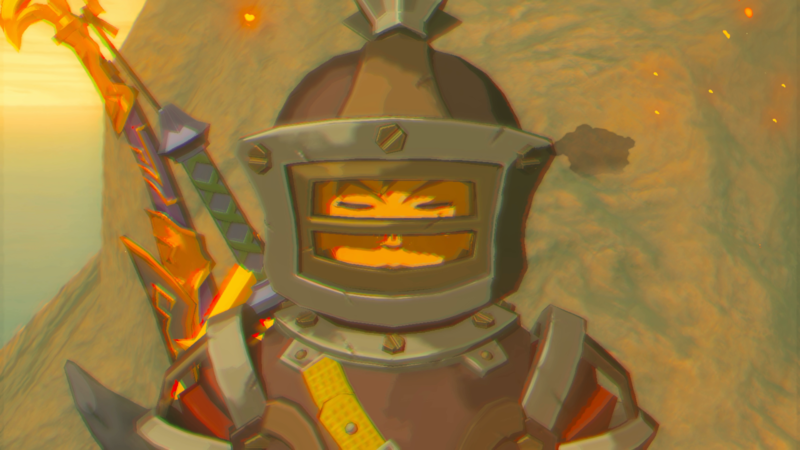 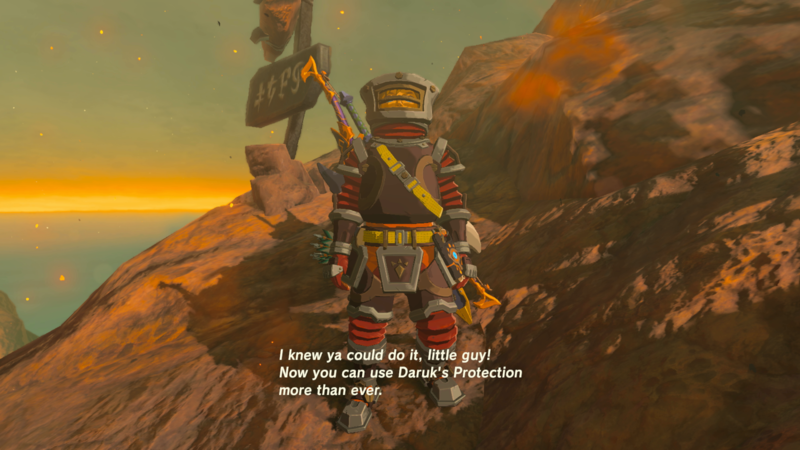 Players will be able to learn more about the Goron Champion Daruk upon completing the quest. 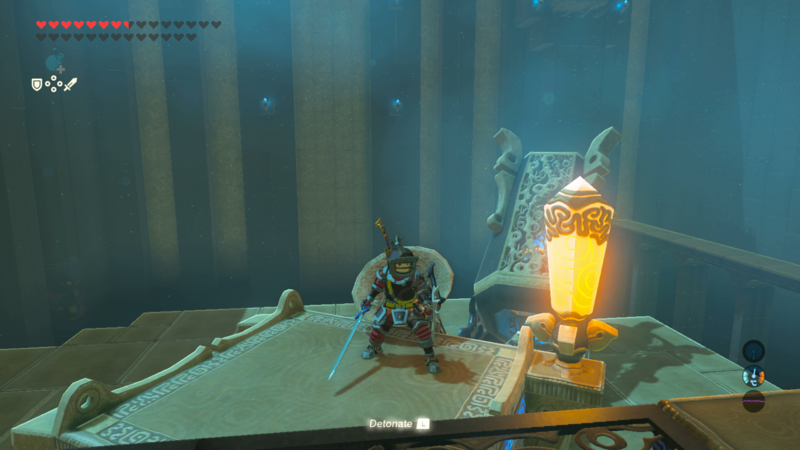 To begin the quest, head west of Goron City where you'll see the Arisen Pedestal just on a cliff opposite the main entrance. 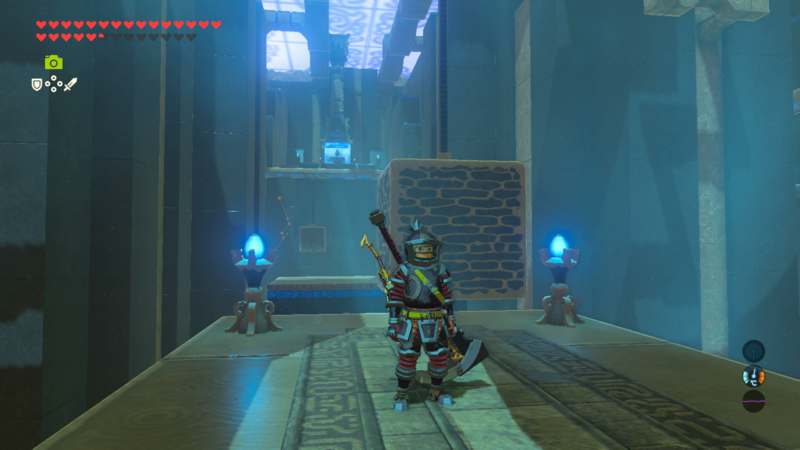 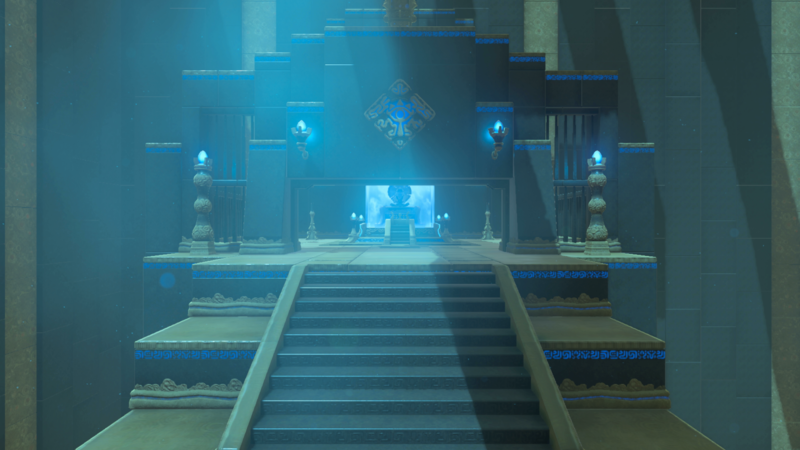 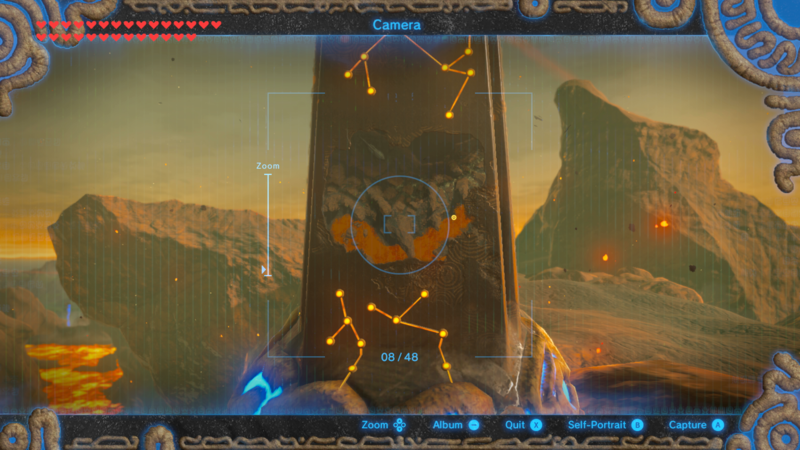 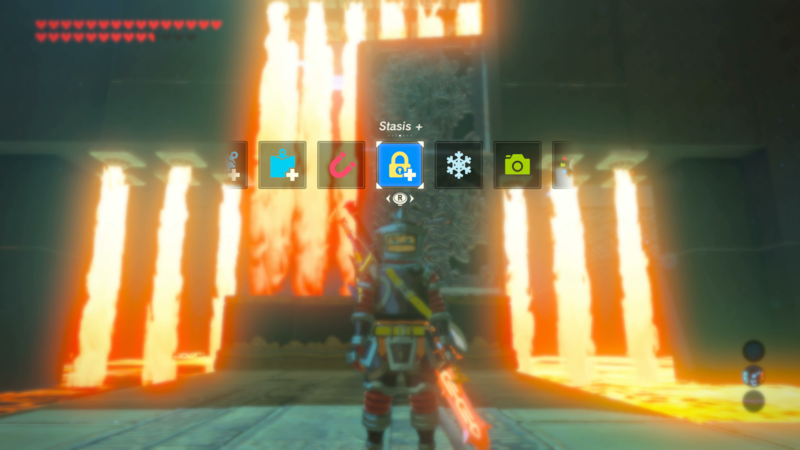 Once you walk up to the Pedestal, a cutscene will play revealing the location of three trials that you'll need to complete to find Daruk's Trials. 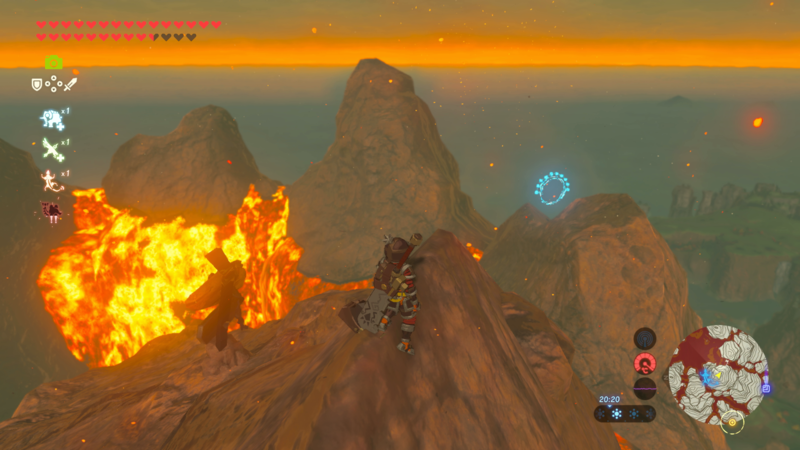 Teleport to the top of Death Mountain using the Divine Beast fast travel point and look around until you see a blue ring in the air. 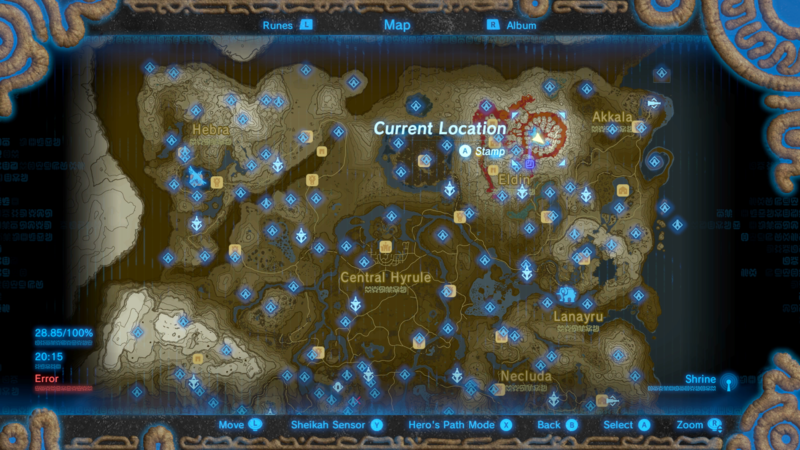 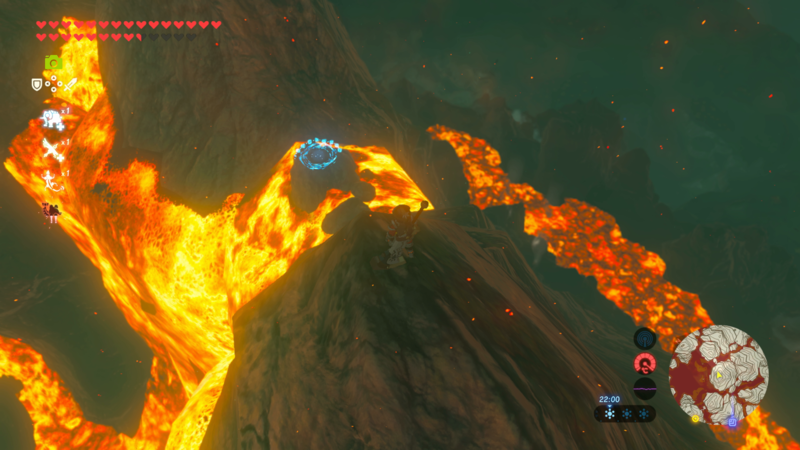 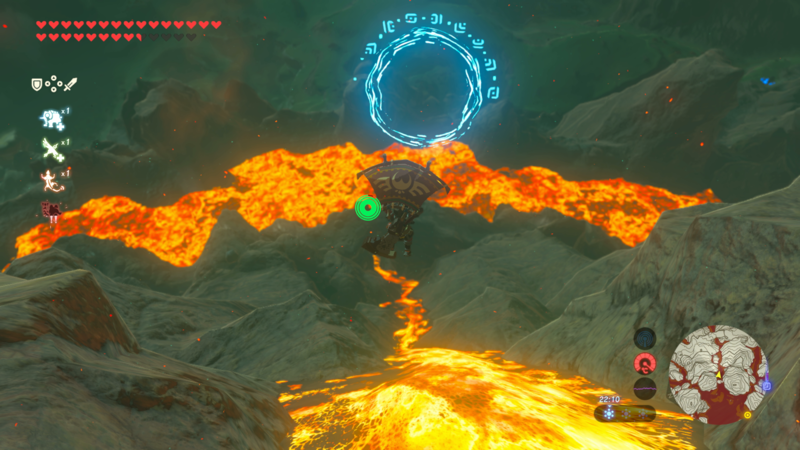 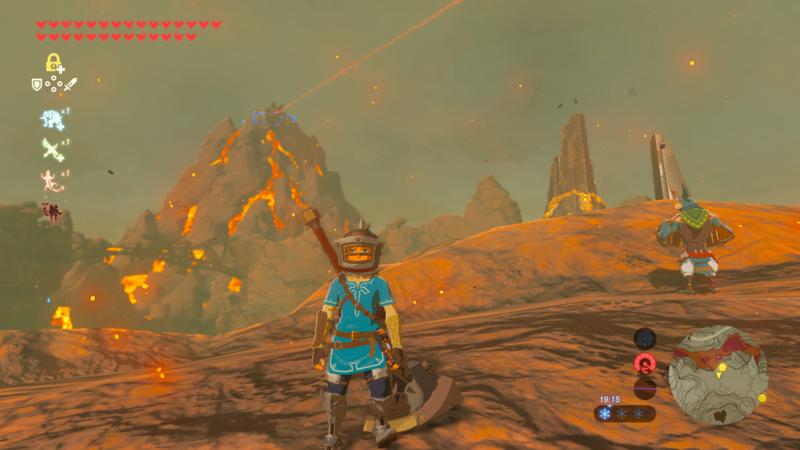 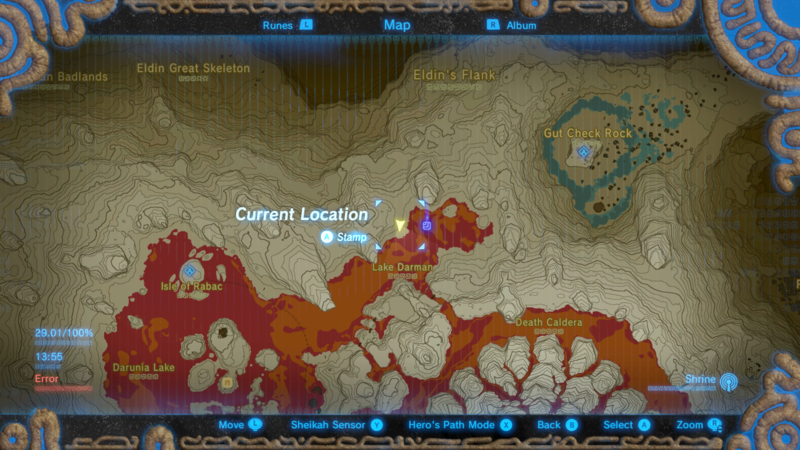 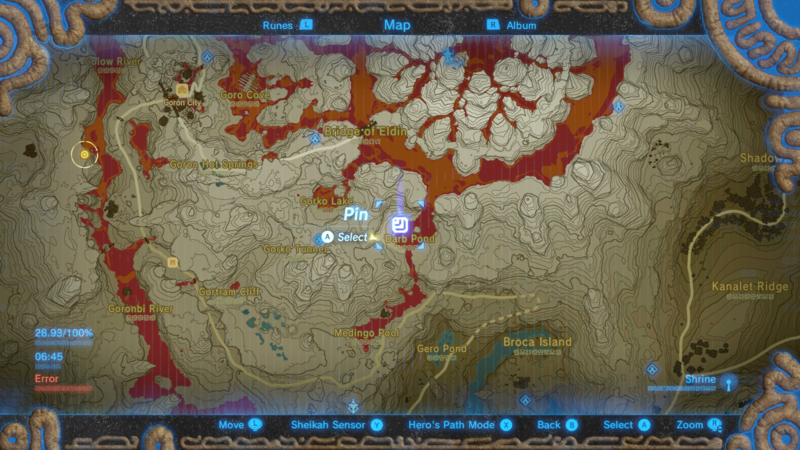 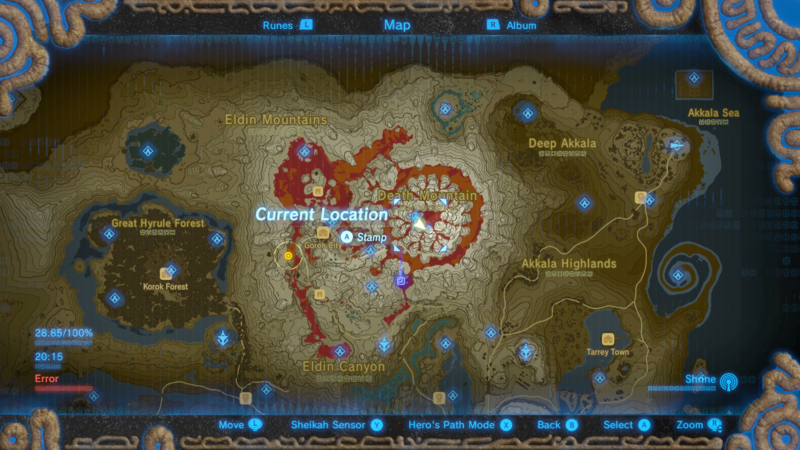 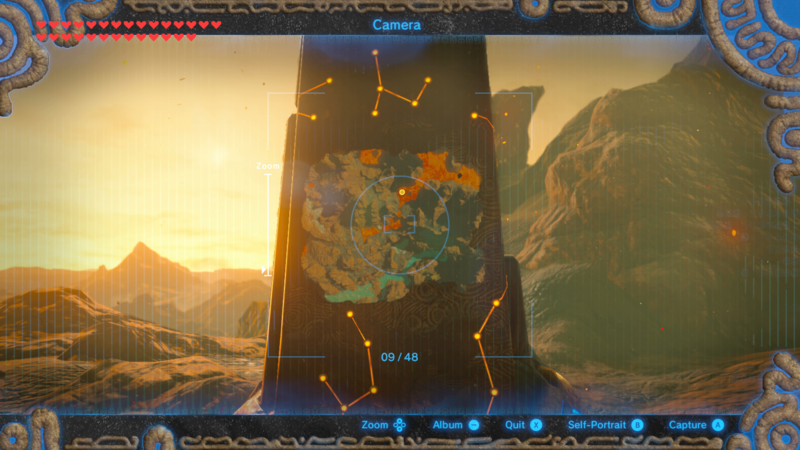 To spawn the first Shrine, players will need to complete an obstacle course by gliding down the mountain through each blue ring that spawns until they reach the end. 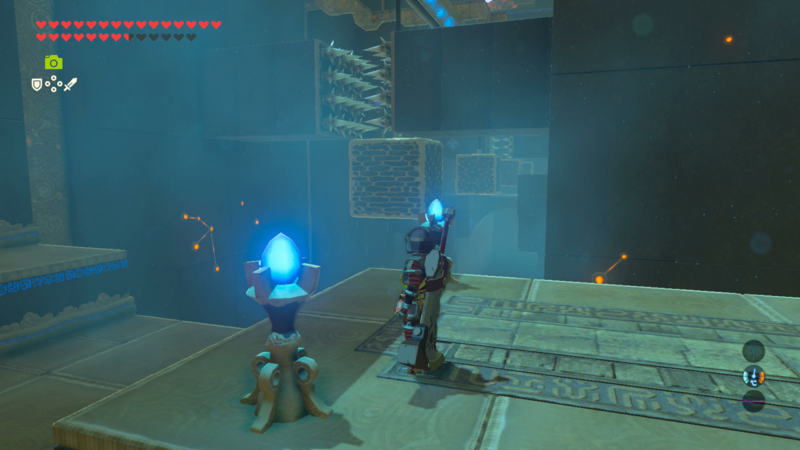 This Shrines task the player with a series of puzzles while suspended in mid-air. 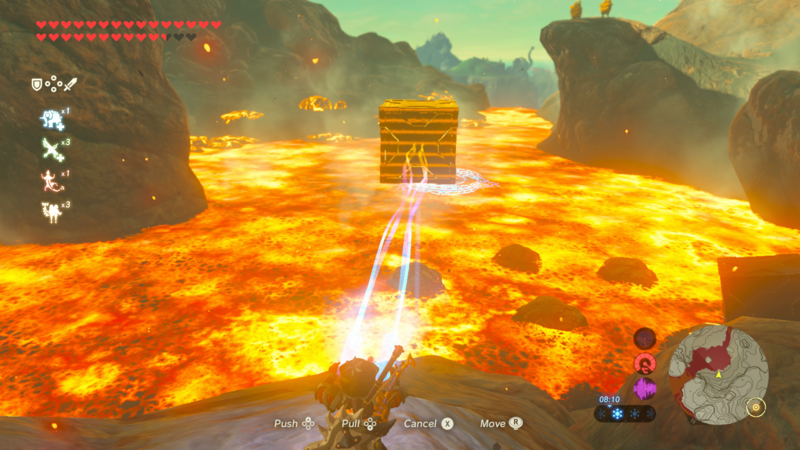 You will need to jump on one of the moving cubes and reposition yourself mid-journey to avoid the fire. 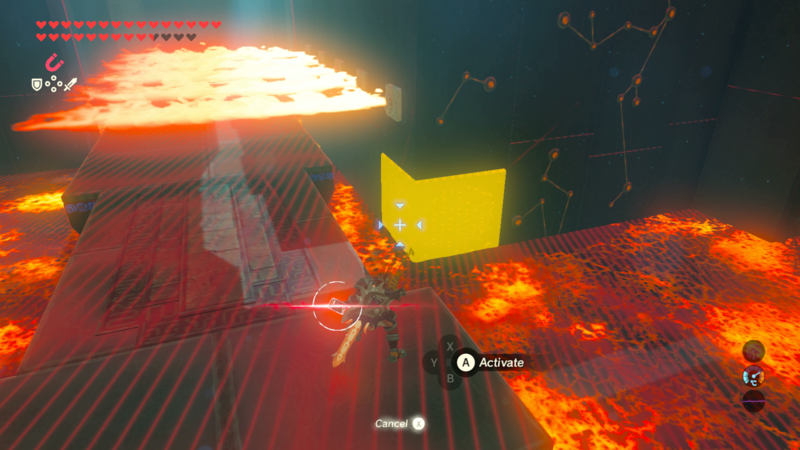 After the first part, the second elevated cube puzzle will task you with avoiding spikes and enemies that fire projectiles. 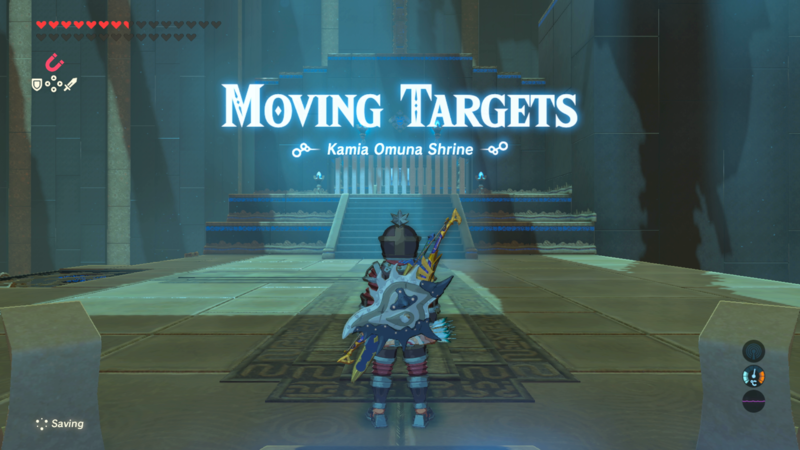 You can choose to destroy the enemies with your bow, or simply avoid them like in the previous puzzle. 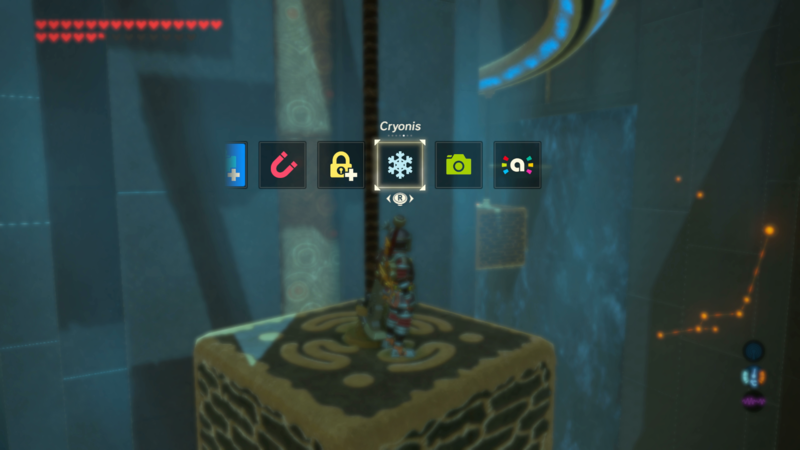 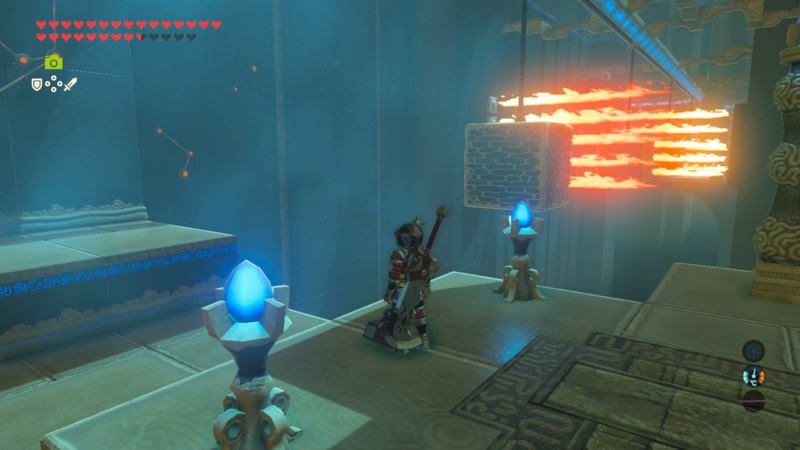 The final part of the Shrine tasks the player to leave the safety of the cube by using Cyronis on one of the water walls on either side. 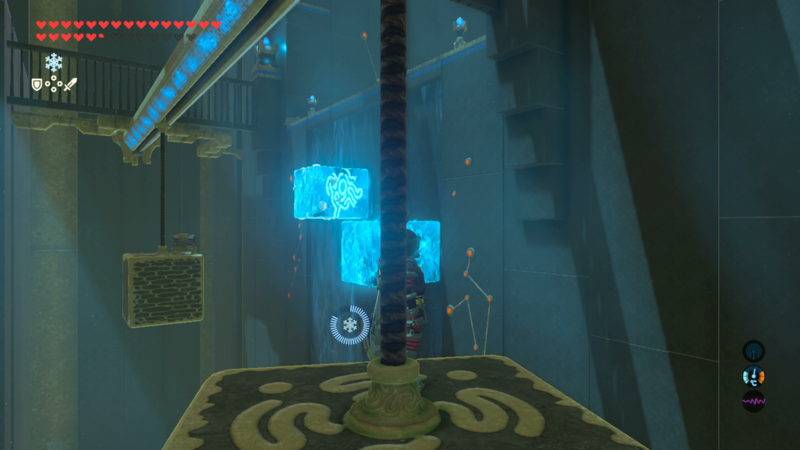 You will also need to use Cyronis to make three pillars on the wall at the end that leads to the end of the Shrine (as shown above). 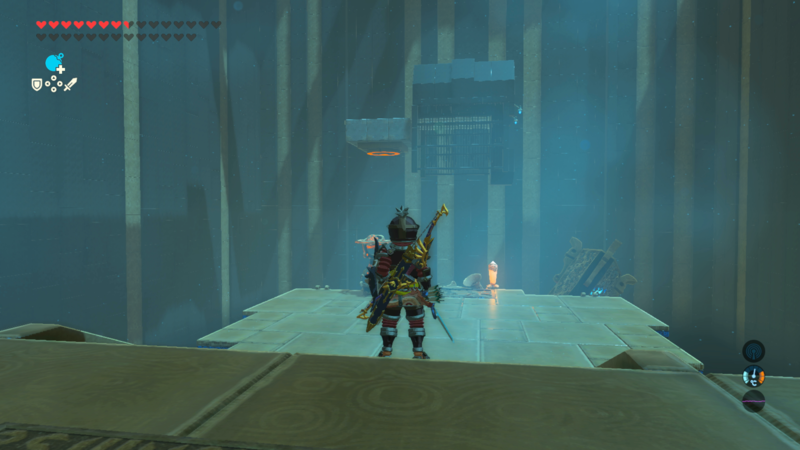 North of Goron City, in Lake Darman, is a large stone mini-boss that you'll need to defeat in order to unlock the next Shrine. 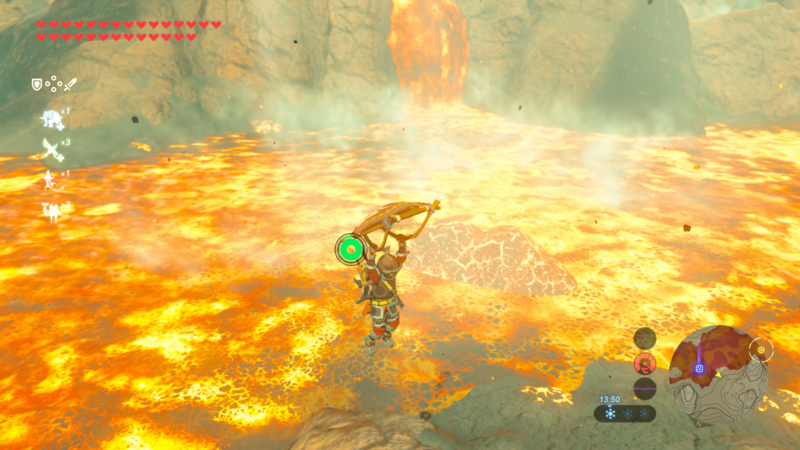 The creature is in the middle of lava, making it difficult to fight by conventional means. 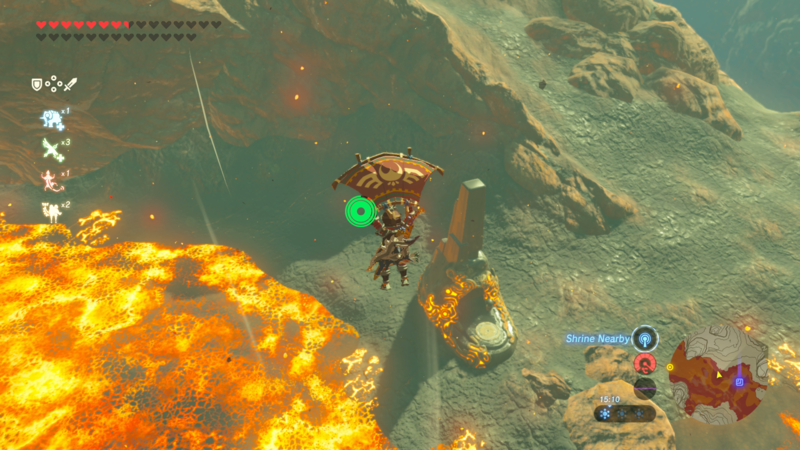 Use the updraft in the area to soar into the sky and circle around the mini-boss, firing arrows at its weak point, the black rock sticking out of its body, until it is dead. 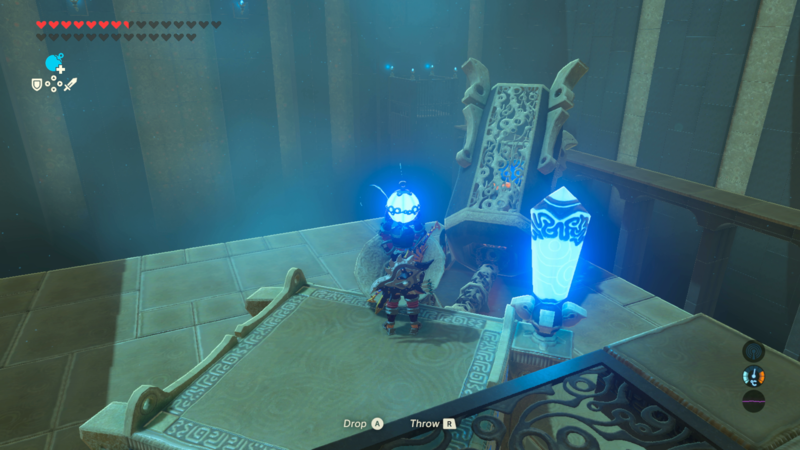 The Shrine will spawn straight afterwards. 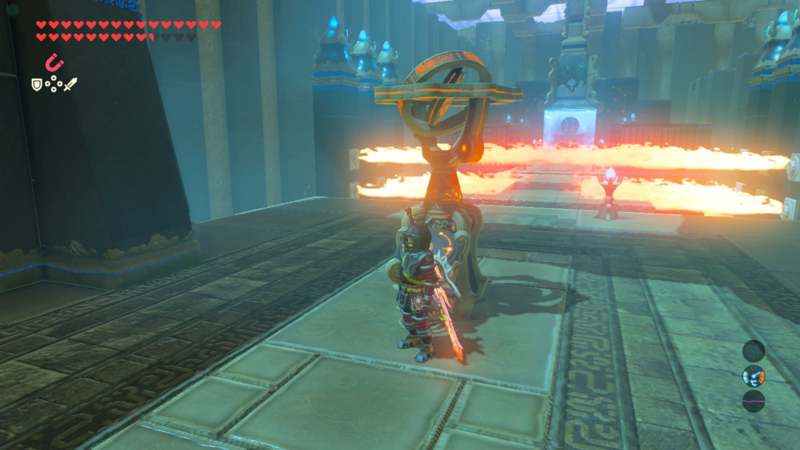 This Shrine tasks you with hitting a series of targets with a cannon to unlock the way forward. 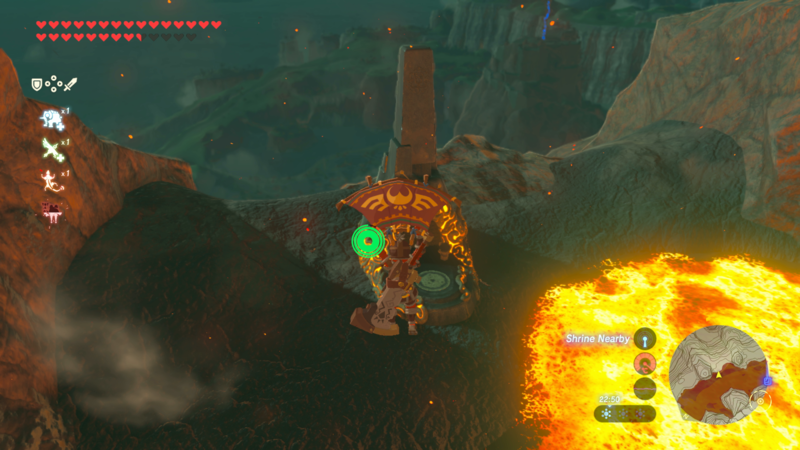 You'll need to drop a bomb into the firing slot and hit the switches, waiting for the cannon to align itself with each target before firing. 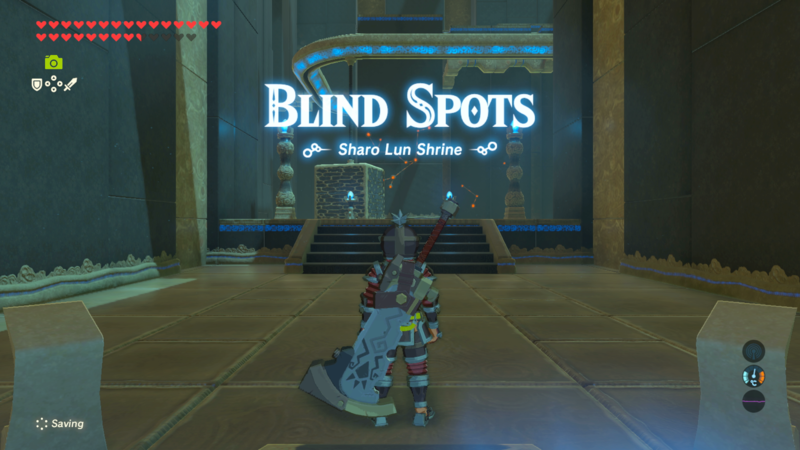 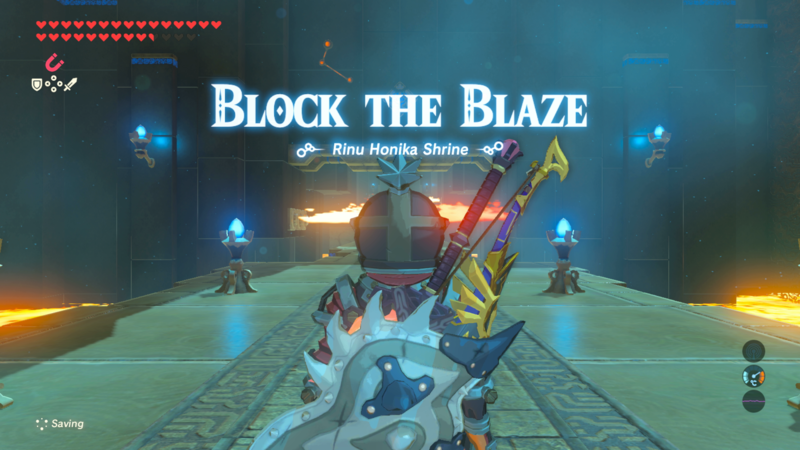 Once a player hits all four targets, they will beat the Shrine. 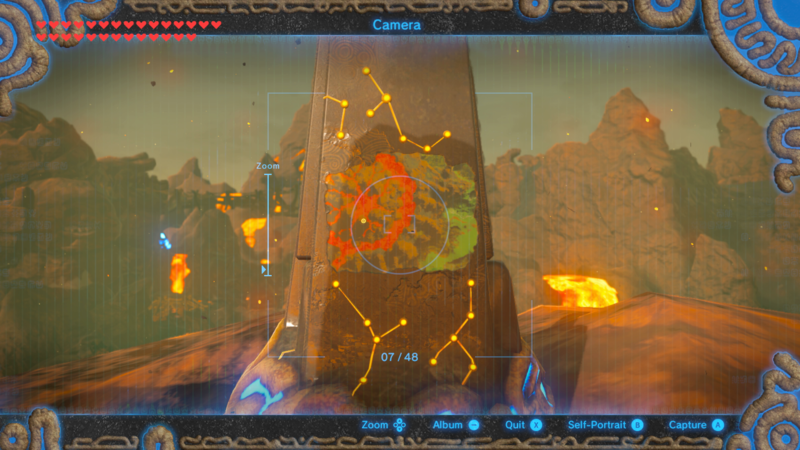 The last Shrine can be found south of the Bridge of Eldin, near Darb Pond. 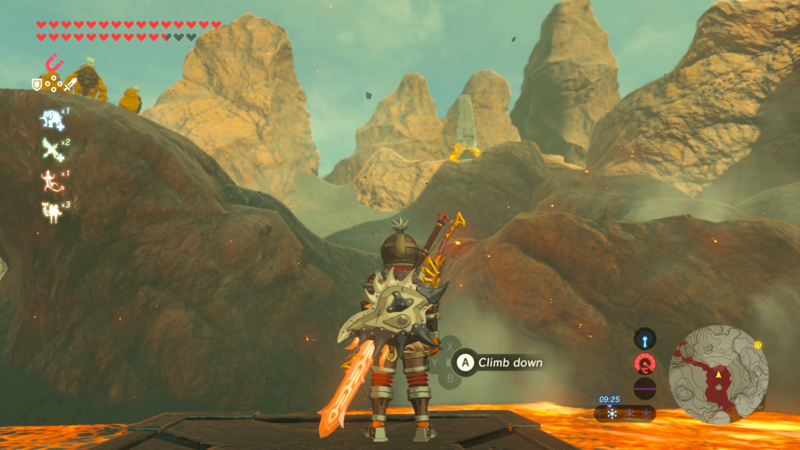 A bunch of Goron's will be standing on top of a cliff next to the pond of lava. 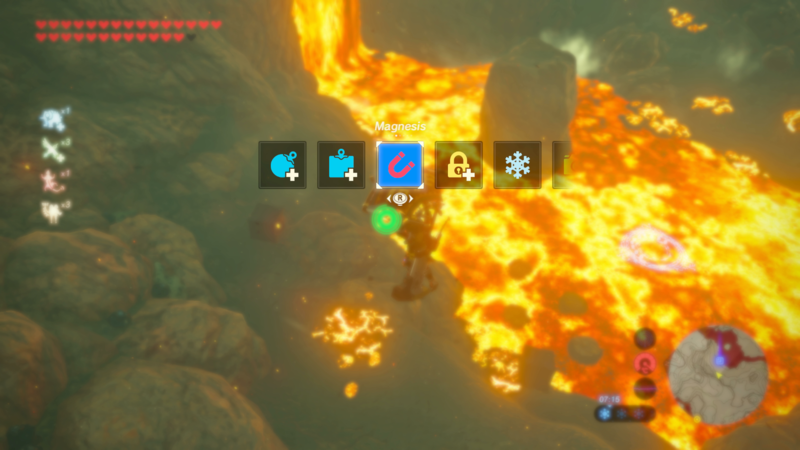 Using Magnesis, move the two metal blocks nearby over the blue circle on top of the lava. 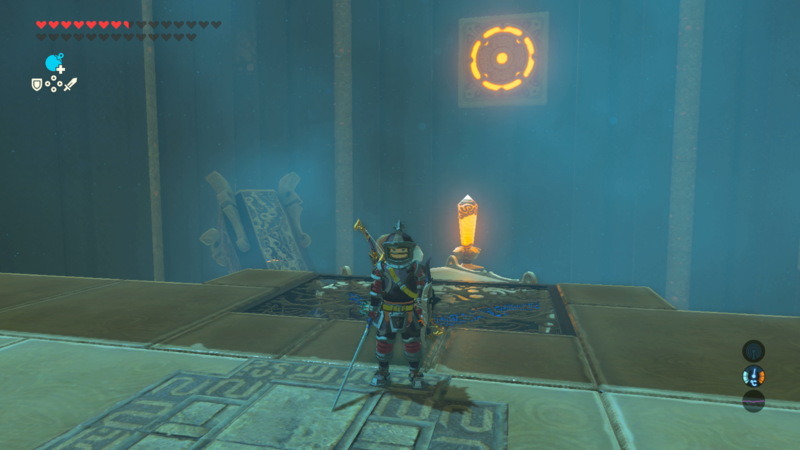 Simply glide to this spot when the blocks are secured and stand in the circle to unlock the Shrine. 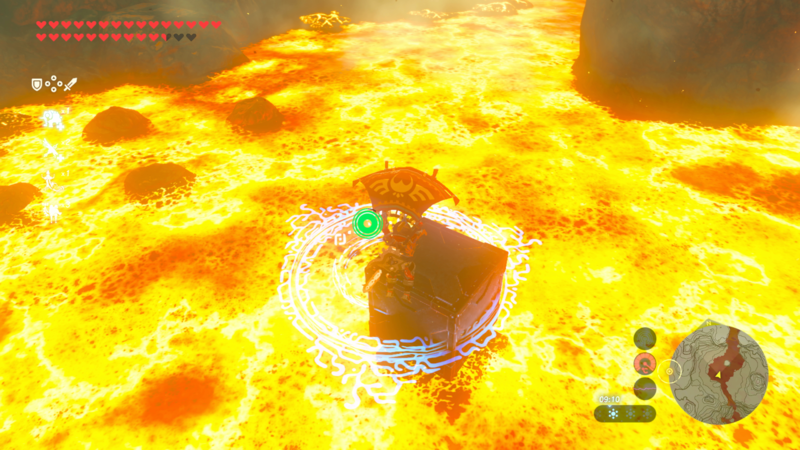 The Shrine will not unlock if a player suicides into the lava but still hits the blue ring. 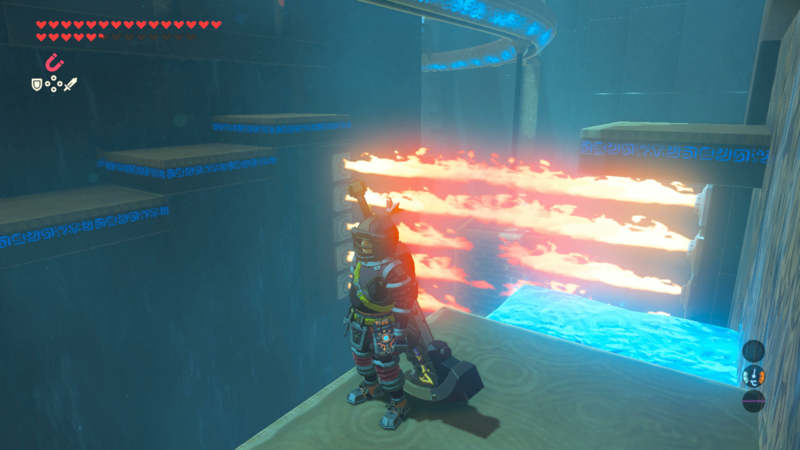 We should know, we tried. 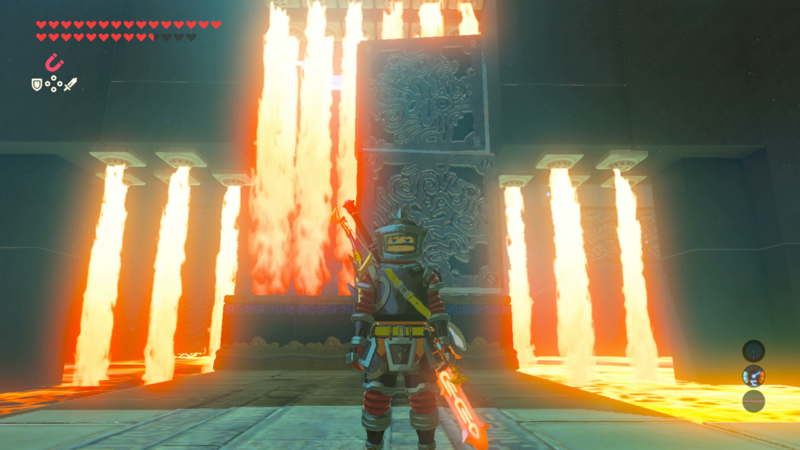 In the beginning of the Shrine, there will be a long hallway with fire spewing from all angles. 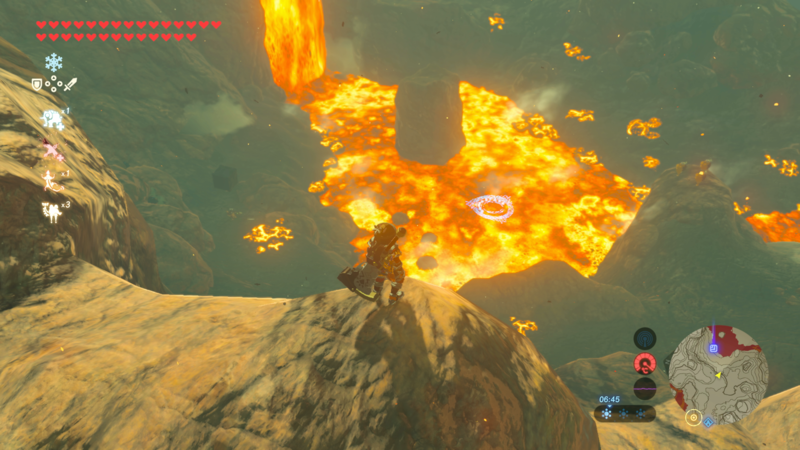 As you progress forward, you'll notice a series of columns that can be destroyed or moved with bombs and other abilities. 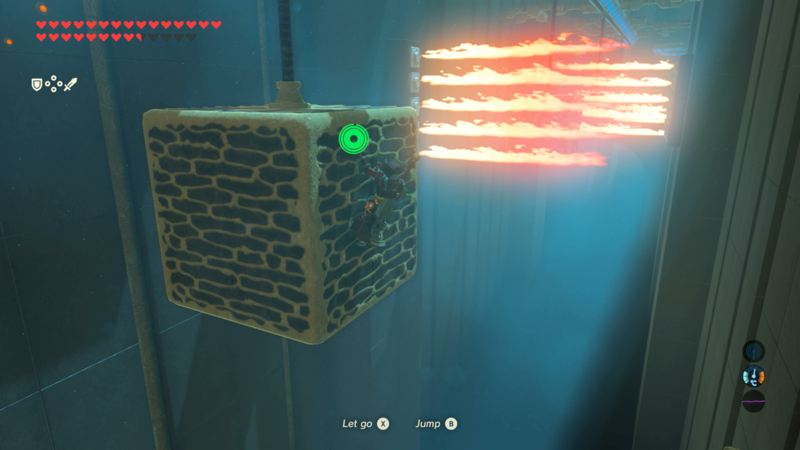 At the very end of the first hallway is a metal block players can grab with Magnesis, pull it out and use the block as a shield to protect you against the spewing fire to help you advance. 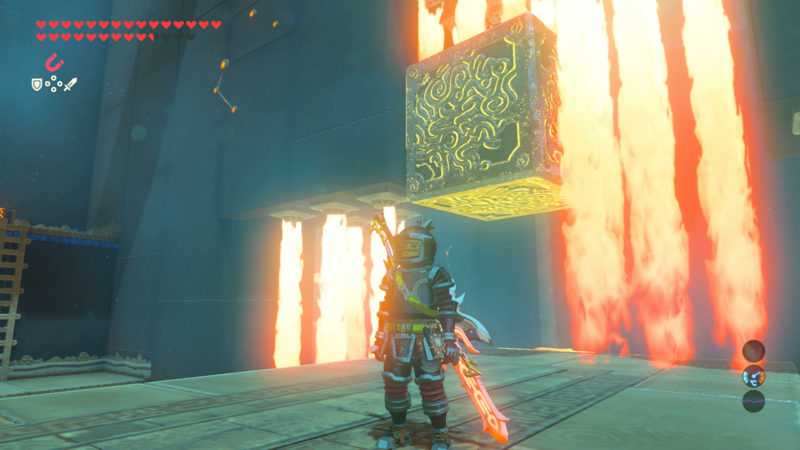 You'll then find a second metal block shortly afterwards next to a large fire wall. 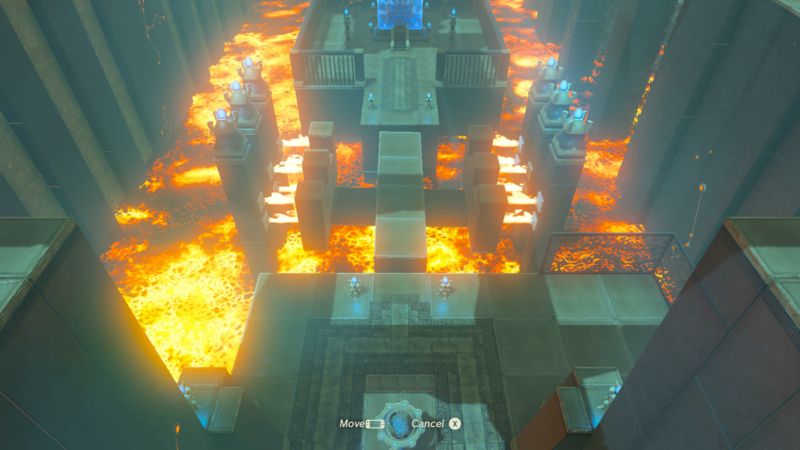 The aim of this is to place the blocks on top of each other and use Statis on the block above to keep it in place. 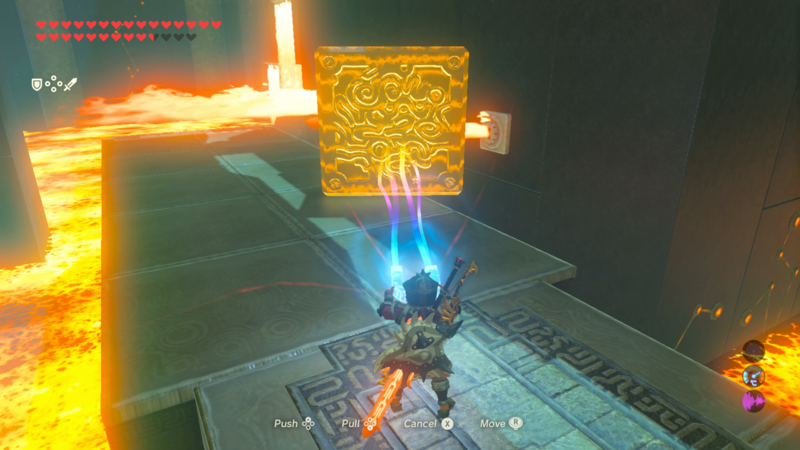 You then need to use Magnesis once again to move the block from underneath and pass safely through to the last section of the Shrine. 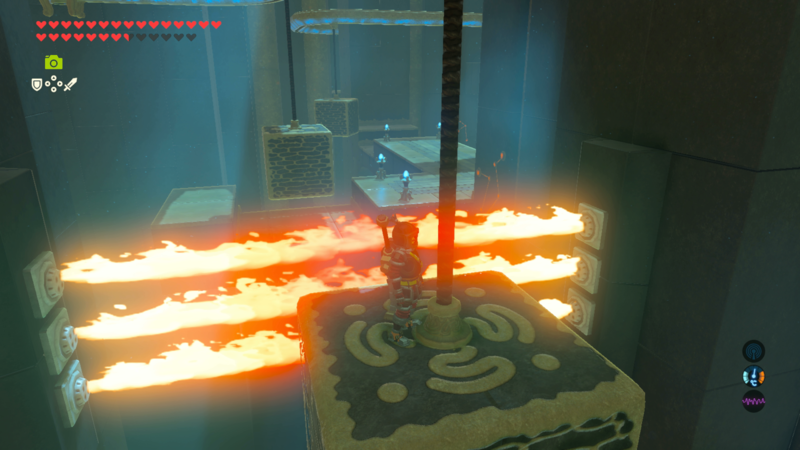 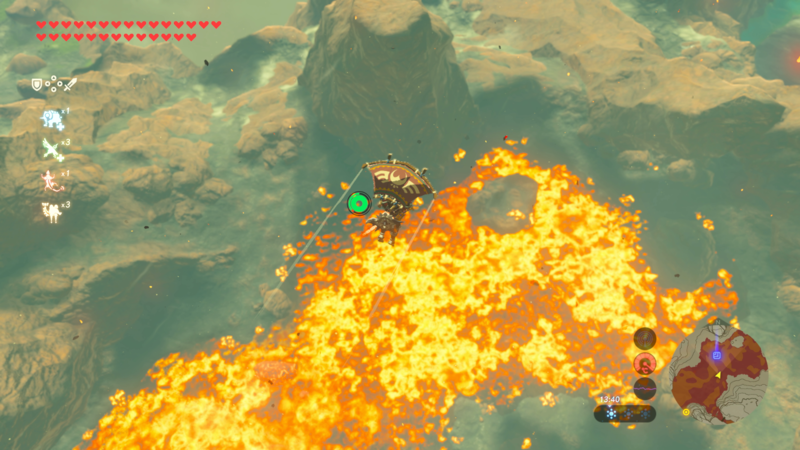 In the last section, you need to simply use the nearby mechanism to tilt the platforms to block the fire, allowing Link to advance to the end. 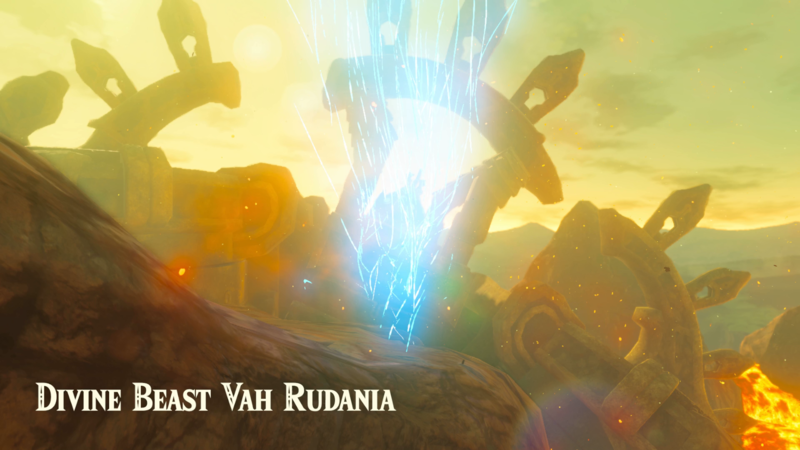 After beating all of the trials, you need to return the Divine Beast Vah Rudania. 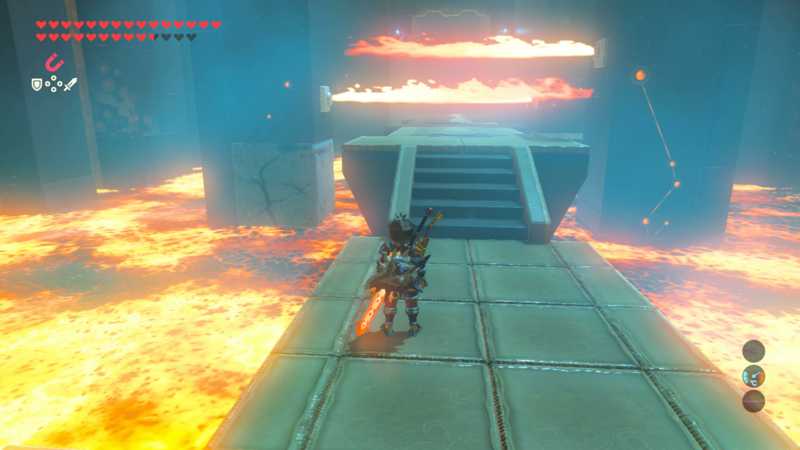 When you do, you'll be greeted by a cutscene before being thrown into a boss battle against Fireblight Ganon. 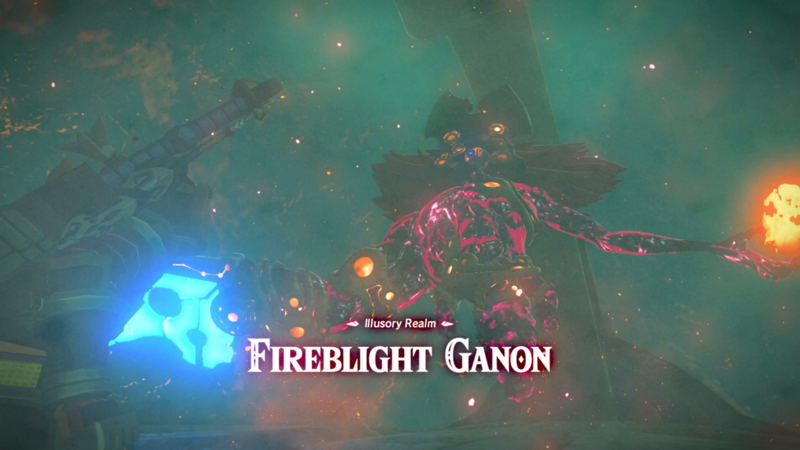 Unlike in previous fights, you won't be able to use your own weapons and armor against it and will be given a set amount of weapons instead that you must use to beat the boss. 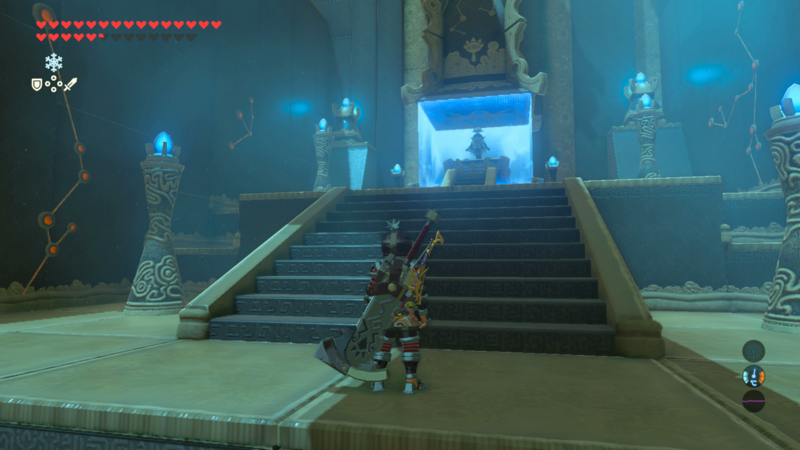 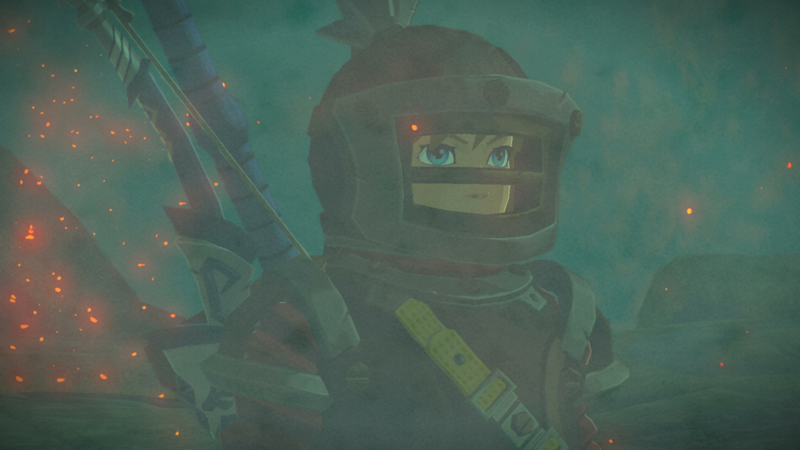 After beating the boss battle, players will gain access to a cutscene, showing how Daruk became the Goron Champion. 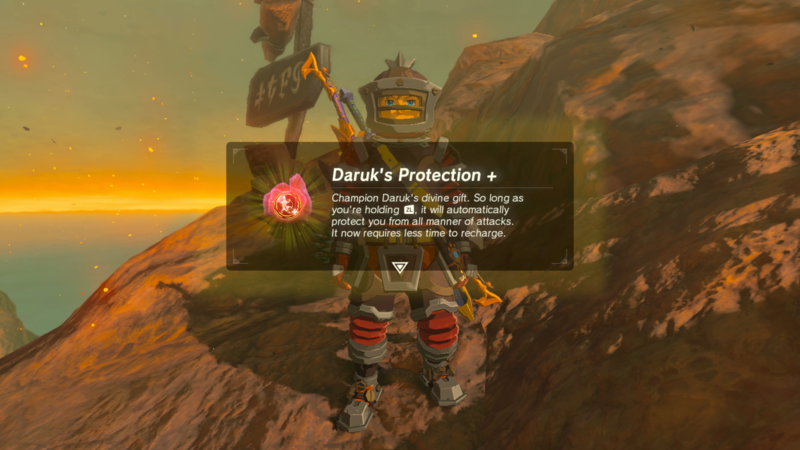 Link will also receive an upgrade to Daruk's Protection, which gives Link an ability which automatically protects him from attacks so long as the player is holding the ZL button.